Limited edition Harrier 50 trainers from Gola. Celebrating 50 years of Gola's most famous pair of trainers, the Harrier 50 is an authentic reproduction of the original 1968 training shoe that kicked it all off. 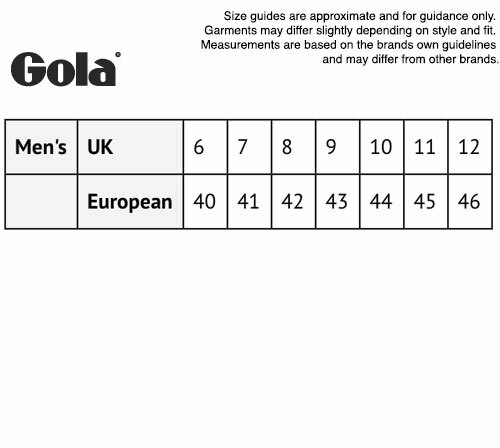 The Gola Harrier was designed as a multi-purpose training shoe, ideal for track, field, gym and of course, the football pitch. One of the earliest trainer styles to really strike a chord with fashion as well as sports, the Harrier has always remained true to it's original silhouette and form. 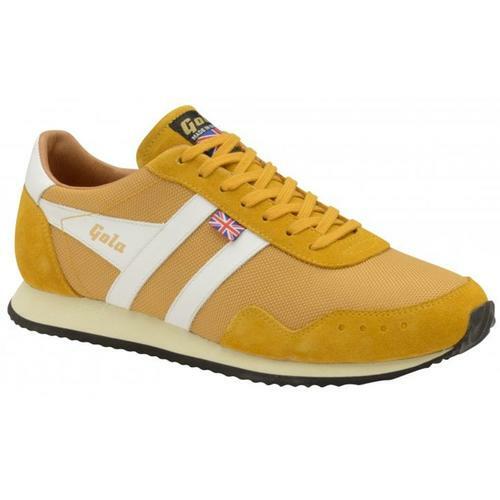 For the 50th Anniversary of the Gola Harrier, Gola have created a limited edition collection of Harrier Suede and Harrier Leather in the original and most iconic colours. 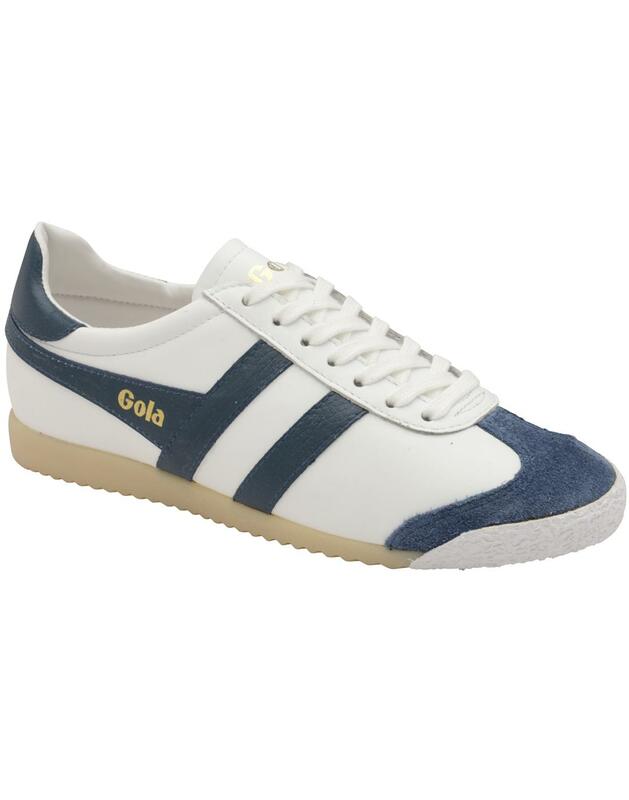 Men's Gola Harrier 50 limited edition trainers in white leather upper and baltic blue trim. Tonal lace up with rounded toe and rigged off white sole. Gold Gola branding to side and tongue. Limited edition 50th anniversary Harrier Trainers. 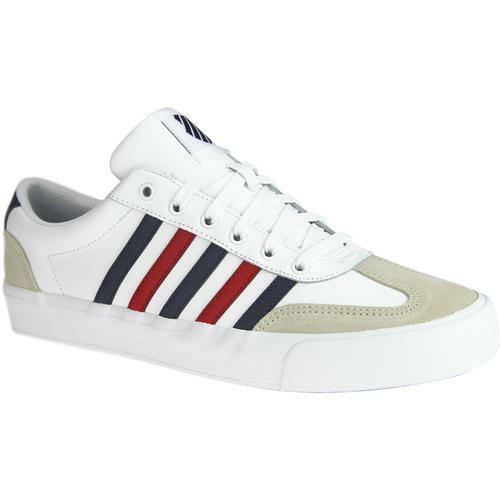 - Leather upper in authentic white and baltic blue colour way. - Contrast blue retro stripe detail to the sides. Composition: Leather upper, fabric lined, other outsole.